Potato cutlets. Recipes from Russia. 1 lb fresh peeled, finely grated potatoes. 1 lb boiled mashed potatoes. 1. Cook the potatoes in the boiling salted water for 20 minutes until tender, drain well and mash. 2. Peel fresh potatoes and grate finely, squeeze out the juice and combine with boiled mashed potatoes, salt and eggs. 3. Form cutlets from this mixture. Roll them in the bread crumbs coating them completely. 4. Take the 7 - 10 tablespoons of oil or butter and clarify them in large skillet over a low heat. 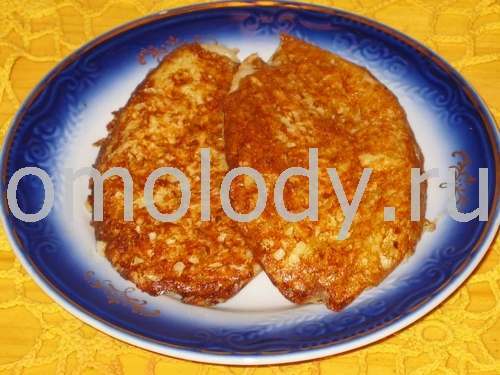 Place over a medium- high heat and when hot fry the cutlets for approx. 5 - 7 minutes per side or until done to suit your taste. 5. 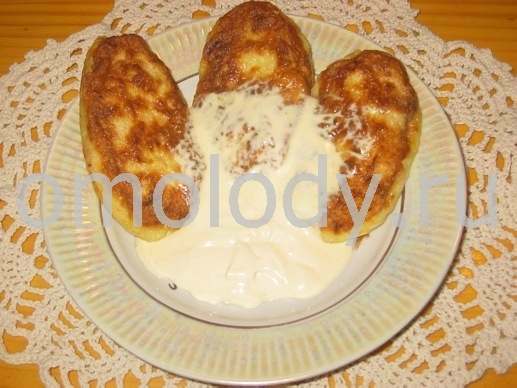 Serve with sour cream, melted butter or cream. Very great with mushroom sauce or soy sauce.